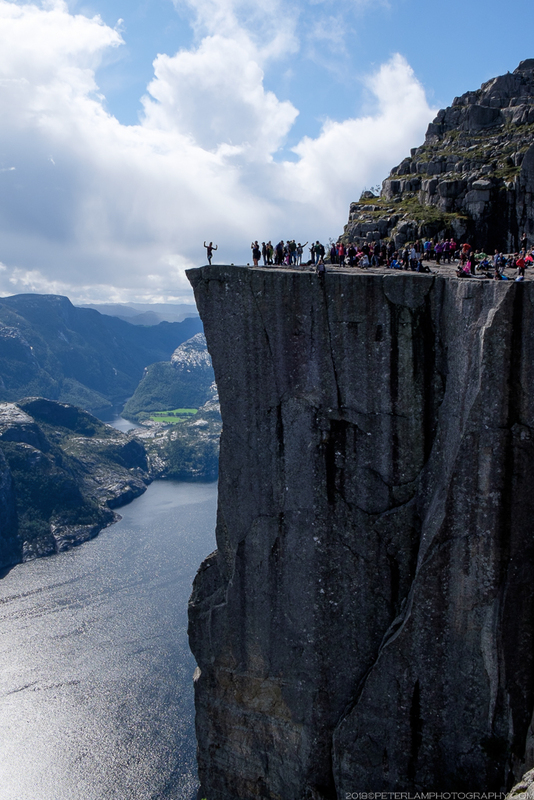 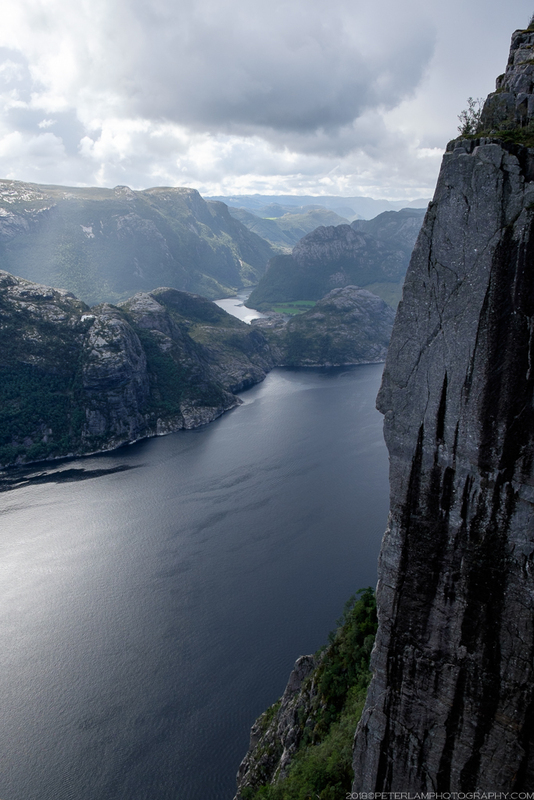 The Pulpit Rock, or Preikestolen (literally Preacher’s Chair), is one of the most popular natural tourist attractions in Norway. 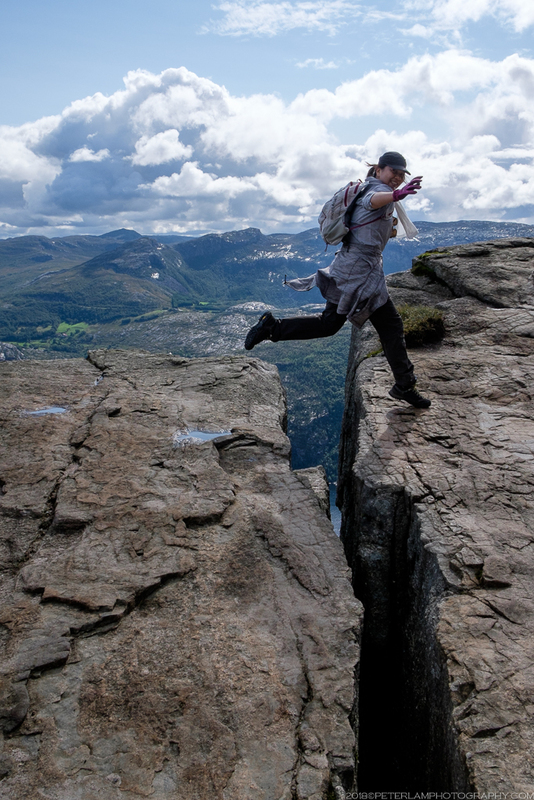 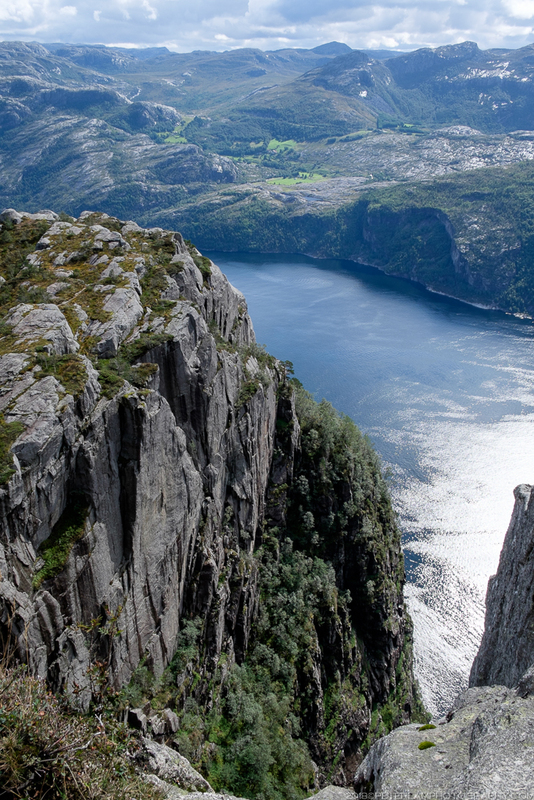 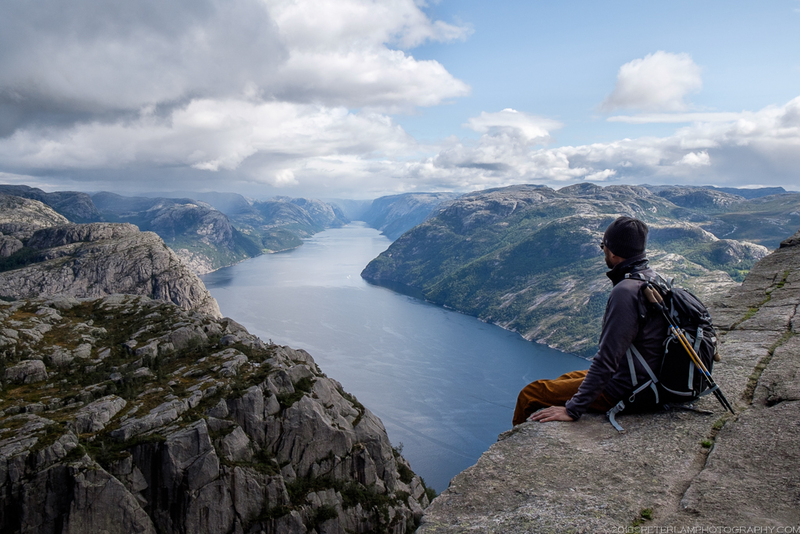 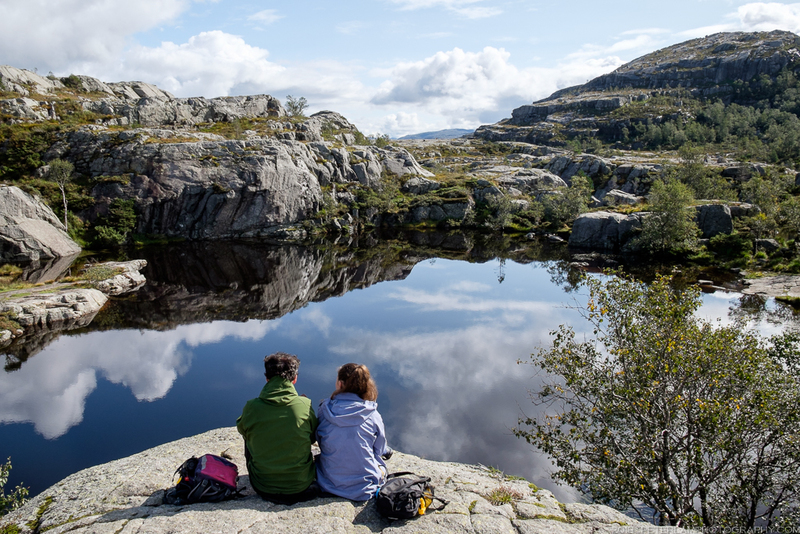 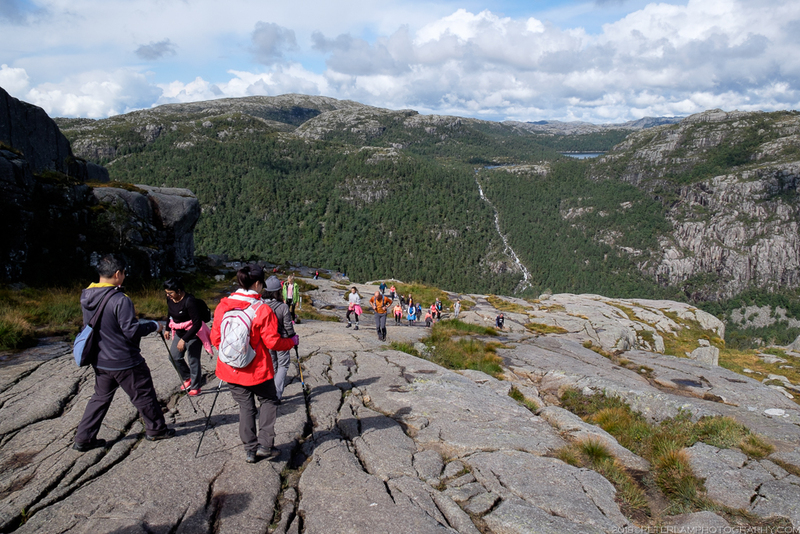 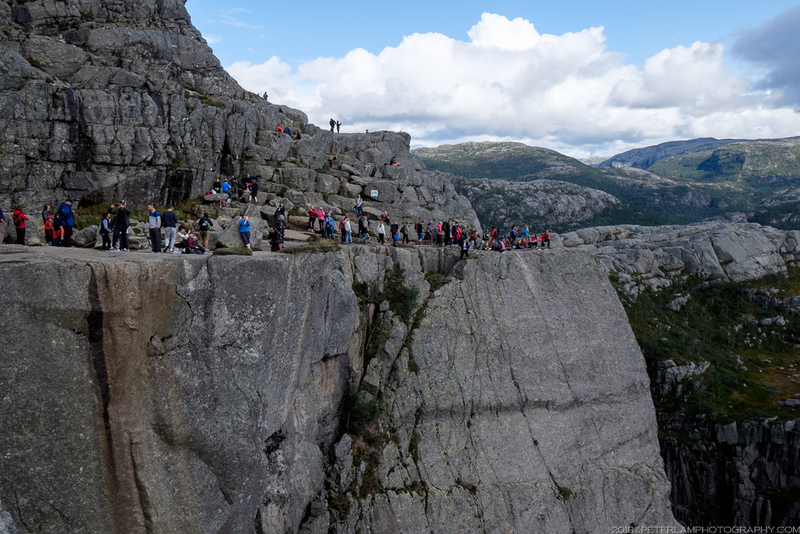 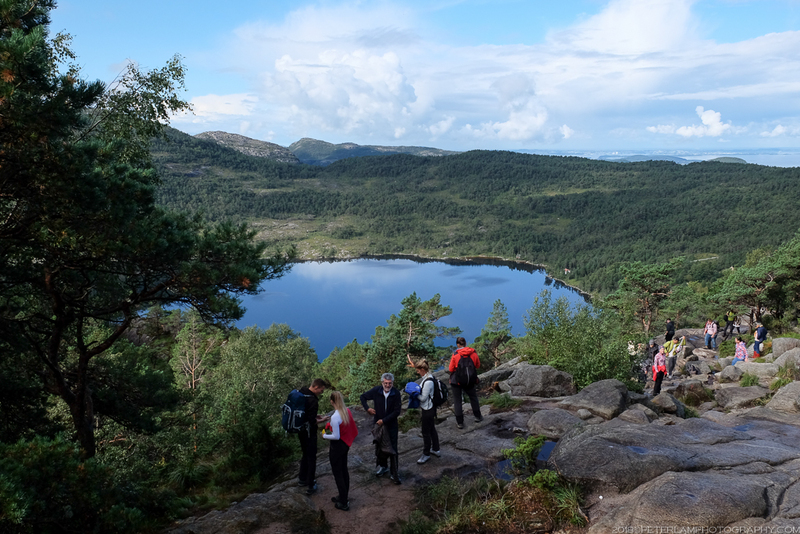 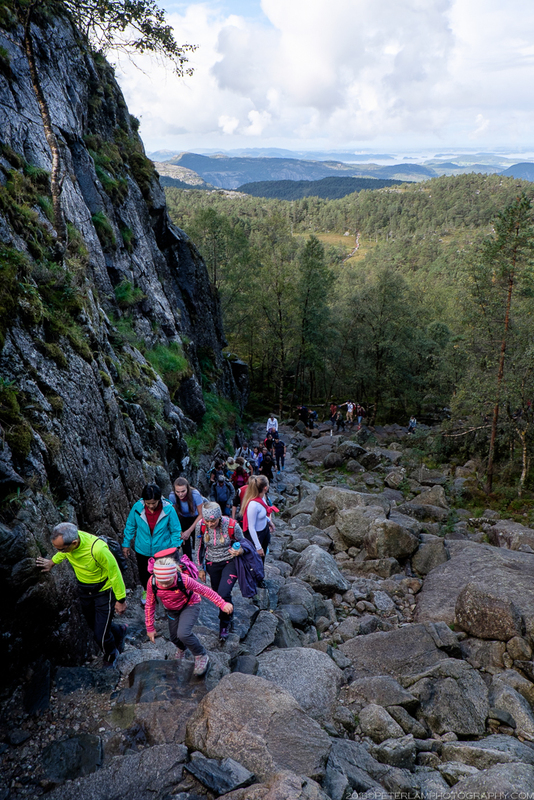 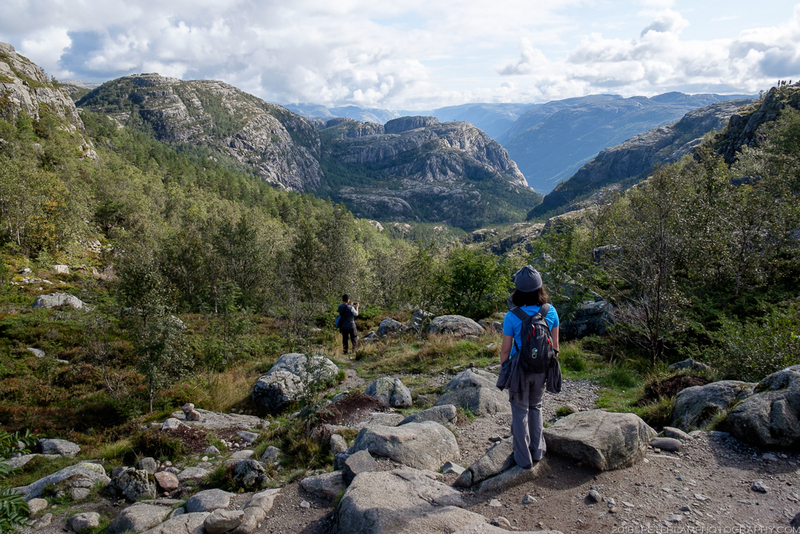 Located about an hour and a half from the city of Stavanger, the hiking destination is sheer cliff rising 604m above Lysefjord fjord. 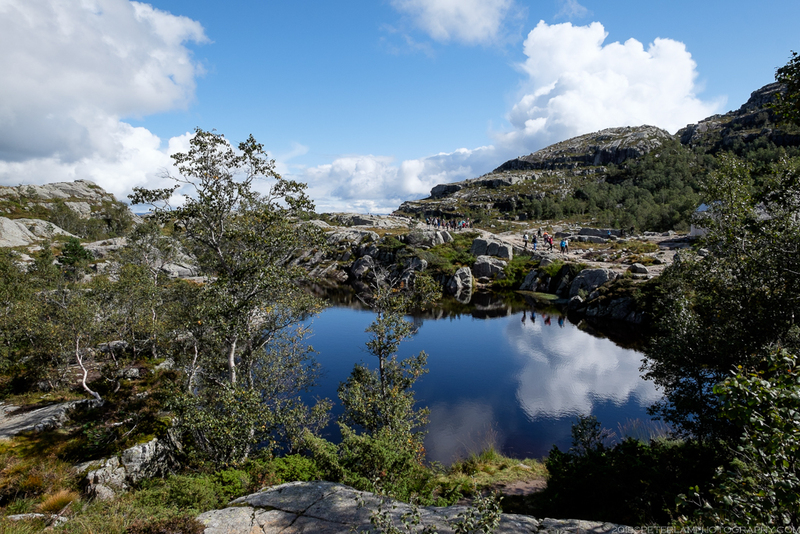 At the top of the cliff is an almost flat 25 by 25 meter rock platform with spectacular views of the surrounding mountains. 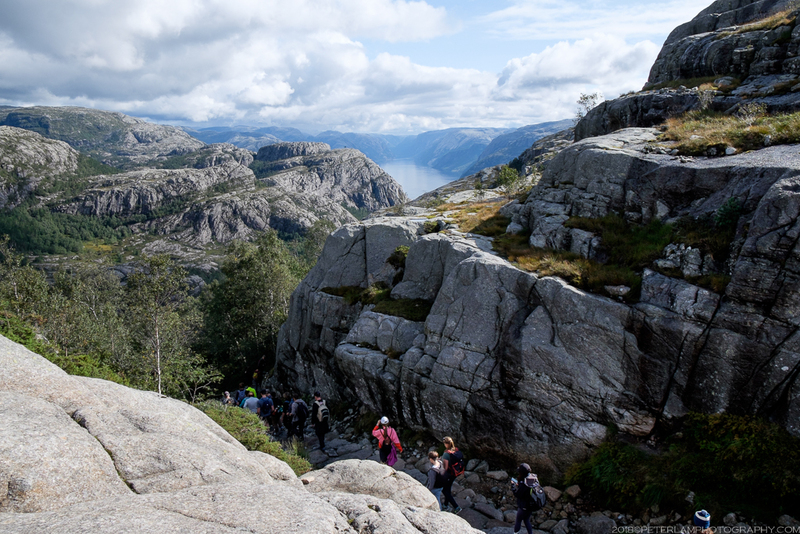 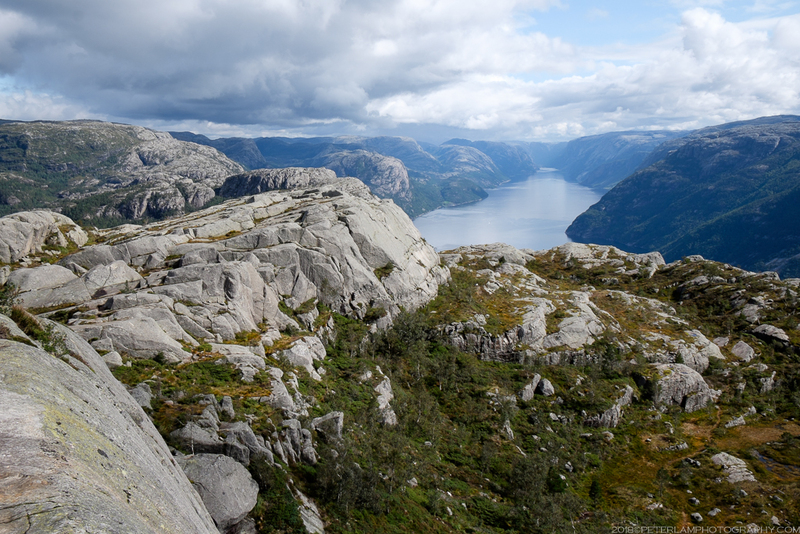 Preikestolen was the first hike on our Norwegian roadtrip. 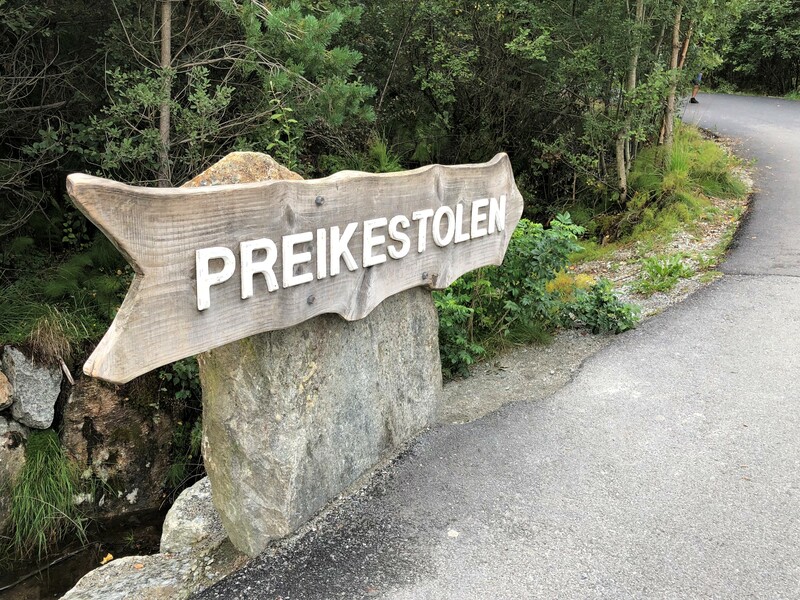 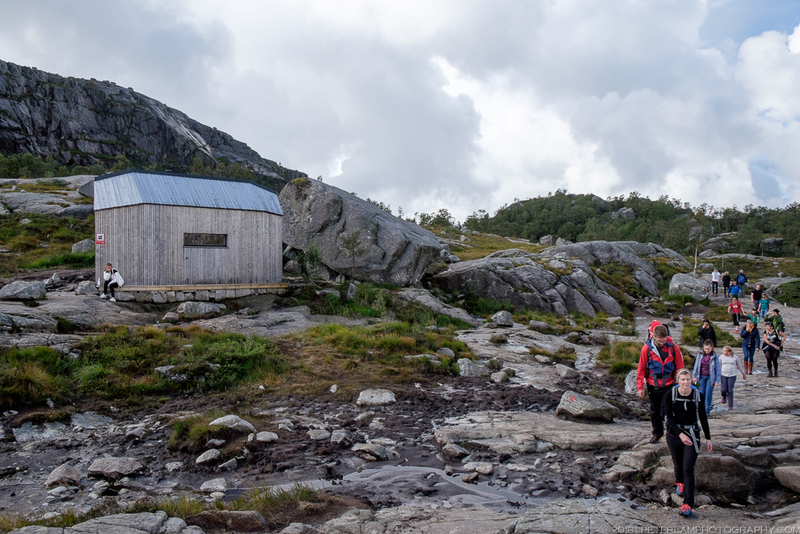 After an overnight sleeper train from Oslo to Sandnes (a Stavanger suburb), we picked up our rental car and headed directly to the trailhead. 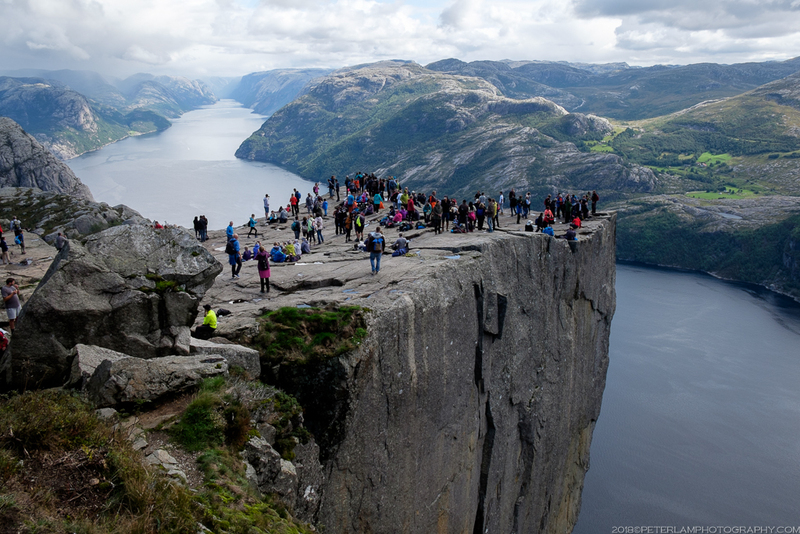 With good weekend weather, the place was absolutely packed! 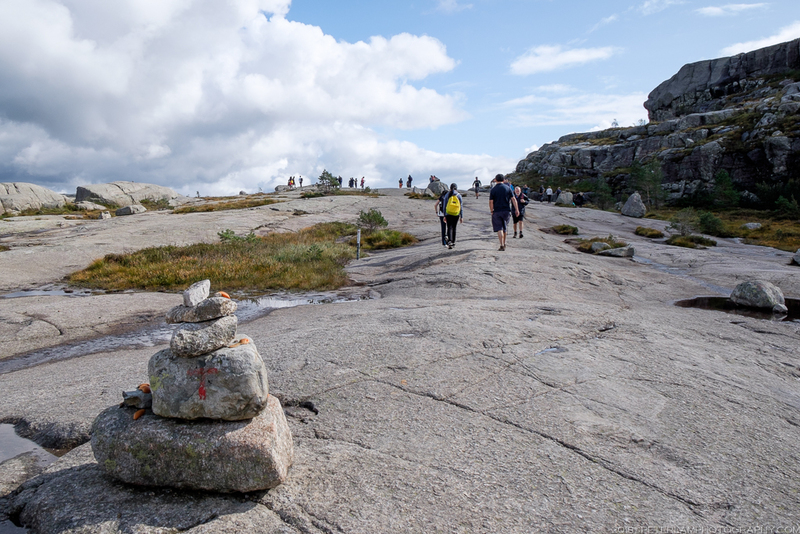 The popularity of this hike has skyrocketed in recent years, and trail improvements have made the route more accessible to casual tourists. 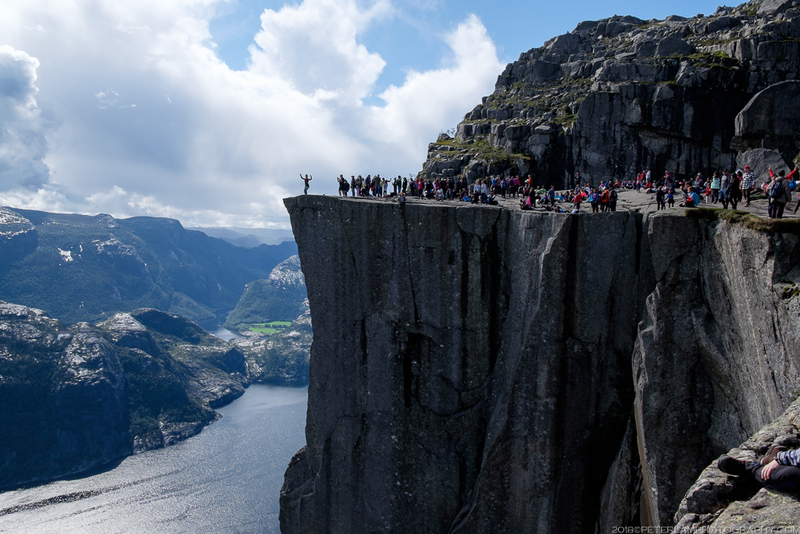 You might also recognize the Pulpit Rock in the climactic final scenes of the Mission Impossible: Fallout movie where Tom Cruise saves the world (again) while hanging from the cliff edge! 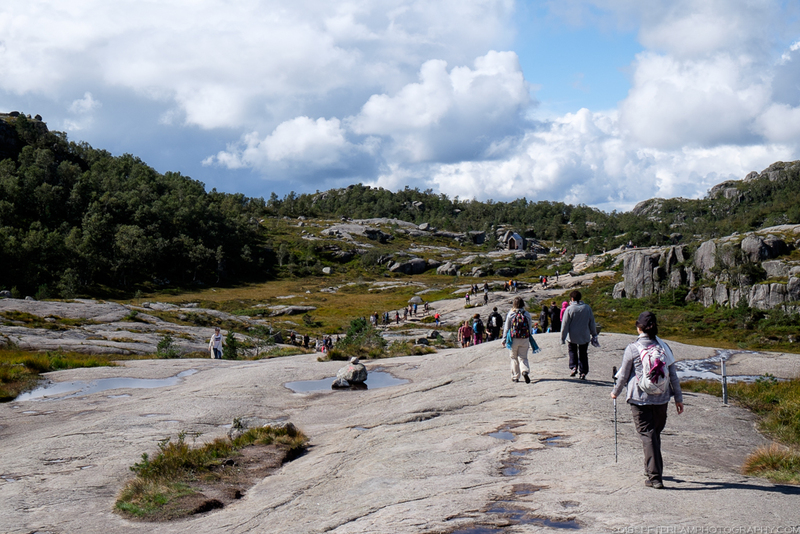 With a round-trip distance just under 8km, the hike is deceptively short but actually quite rocky and steep. 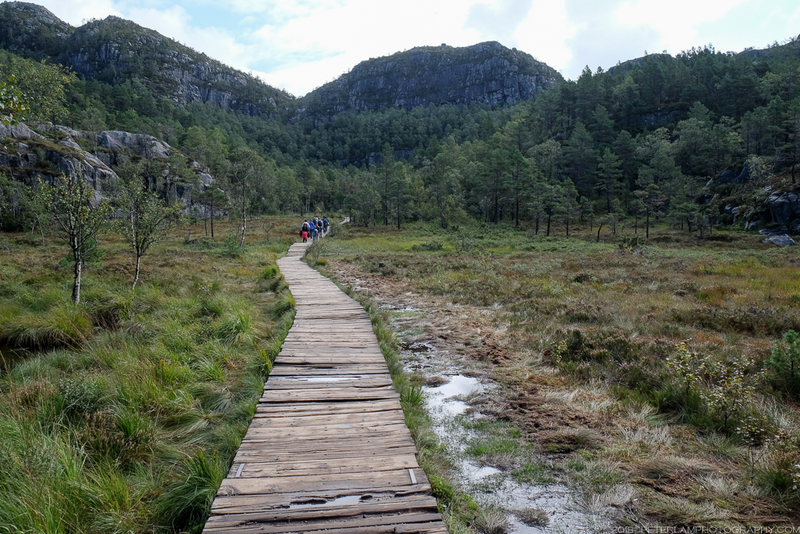 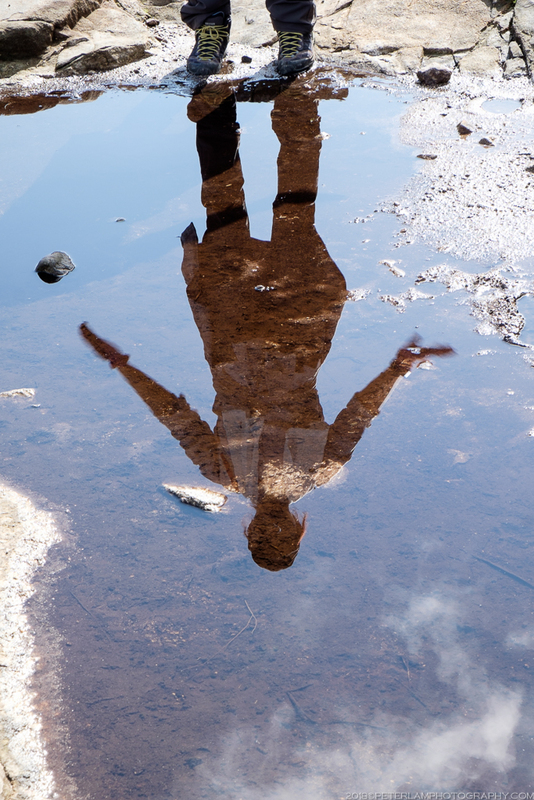 You’ll need to be prepared with good hiking shoes and rain gear (both came in very handy on our trek) – it was surprising to see many tourists come quite unprepared for this trail. 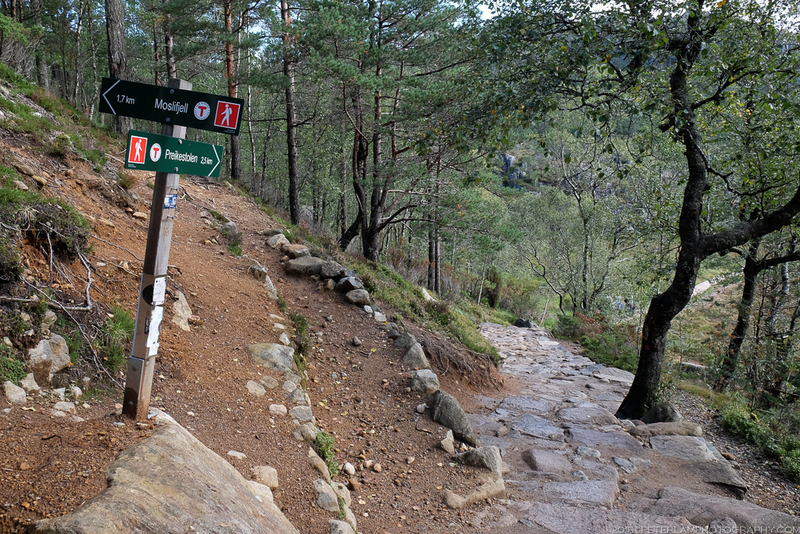 The route is well marked and with the steady stream of people, it’s impossible to get lost. 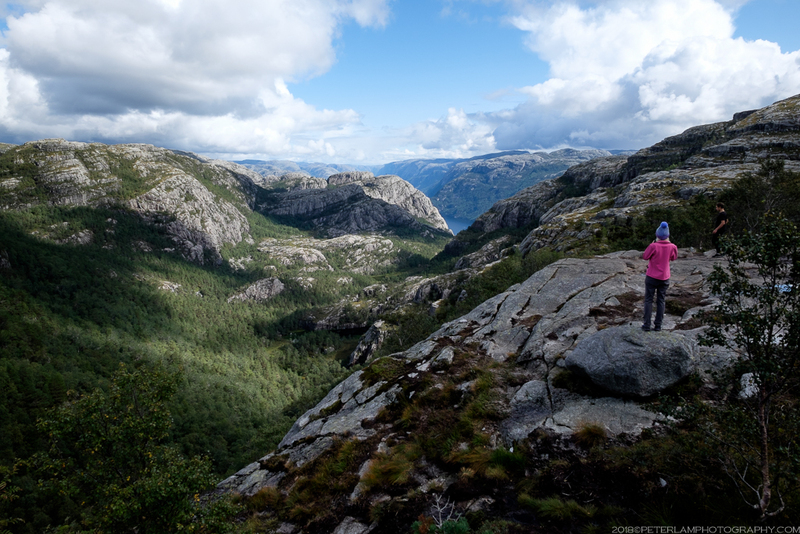 Once you reach the cliff, marvel at the views and take a well-deserved rest – together with the mobs of other hikers.